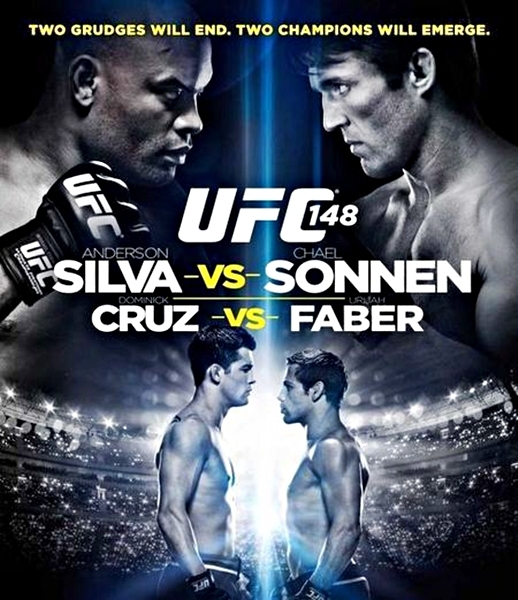 "UFC 148: Silva vs. Sonnen II" is set to take place on July 7 at Las Vegas. Tickets for the upcoming “UFC 148: Silva vs. Sonnen II” event, are set to go on sale, next week. The bout will be headline bu a rematch between UFC middleweight champion Anderson Silva and his rival, Chael Sonnen. The much anticipated rematch between middleweight champ Anderson Silva and his top contender Chael Sonnen is the new headlining bout for UFC 148 in Las Vegas. UFC President Dana White has officially announced that the much anticipated rematch between middleweight champion Anderson Silva and his top contender Chael Sonnen will no longer take place in Brazil but in Las Vegas as the headlining bout for the UFC 148.